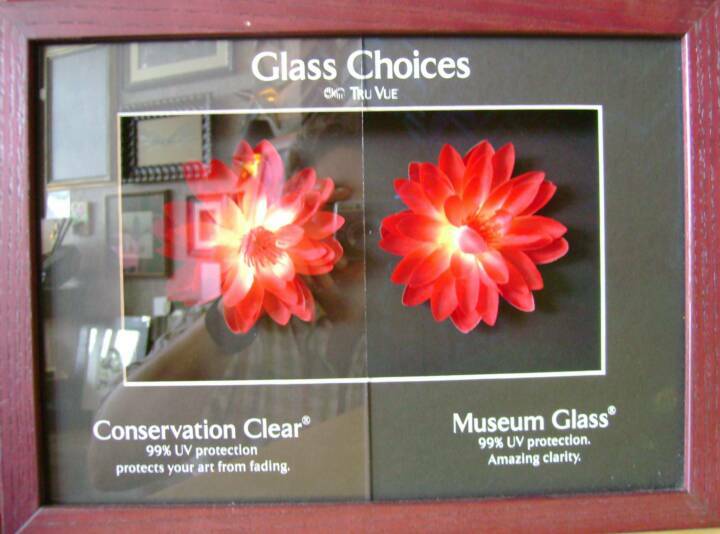 Conservation Clear and Museum Glass are both registered trademarks of Tru Vue, Inc.
Art World is also doing our part to help conserve our natural resources by using green products whenever possible. 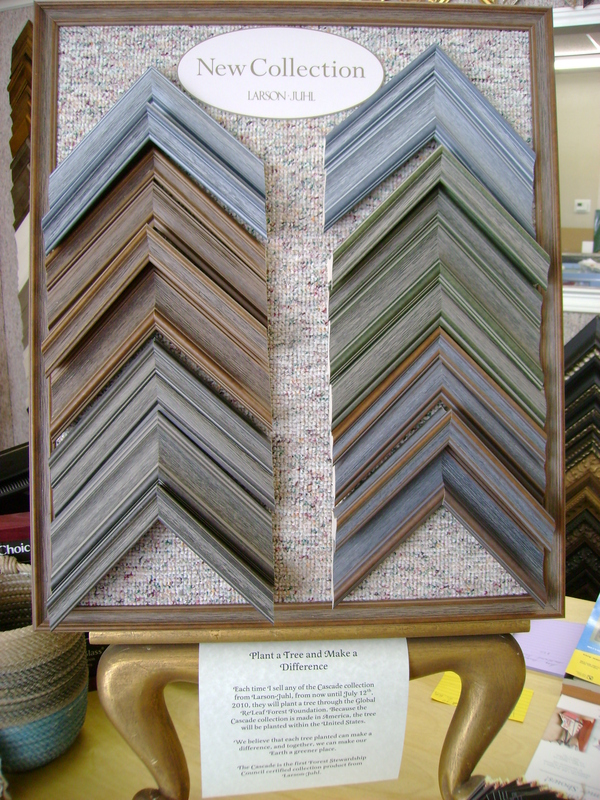 We also utilize local small businesses, Texas companies and mouldings made in the USA. Utilizing only archival grade, acid free matboard and backing products enhances our exclusive use of Conservation Clear® 99% UV protection glass. An optional upgrade to Museum Glass® (also with 99% UV protection but with less than 1% of light reflection) provides optimal viewing of treasured memories. This glass allows you to see your artwork (not the couch behind you reflected in the glass). Larson-Juhl makes moulding in Ashland, Wisconsin.